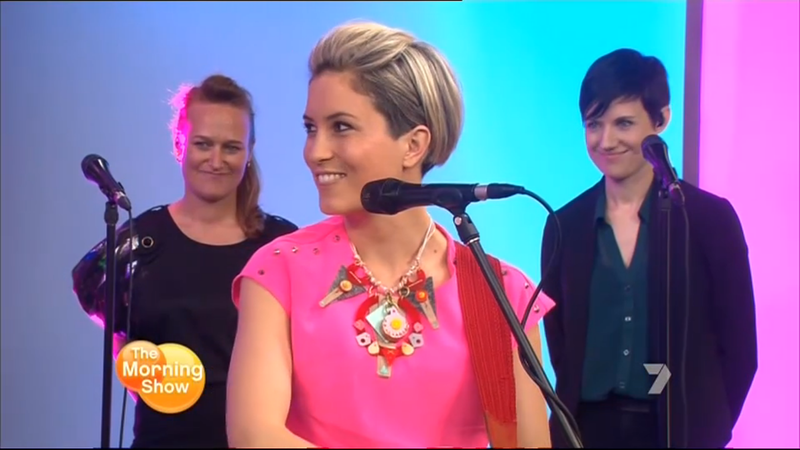 Well, it hasn’t even been officially launched yet but our first piece from the new Tucker & Grace collection shone bright under the spotlight while adorning the lovely neck of one Missy Higgins yesterday on a popular morning TV show. The amazingly talented Kate Tucker and I made this piece using 98% recycled materials. We’re pretty proud and we hope you like it too! Each piece in our collection is hand made so no two will ever be the same. And they’re so new they’re not even in the shops yet, but send us an email if you’d like to own one of these beauties for yourself. ← Northcity4 ‘Pozible’ campaign a great success!